How to choose restaurant furniture （chair and table）? Table and chair durability and environmental friendliness. There are many kinds of furniture materials: particleboard, fiberboard, MDF, solid wood board, paint and so on. Some of these materials release gases that are harmful to the human body. Therefore, they often choose environmentally friendly furniture when choosing restaurant furniture. Therefore, the customer will not smell an unpleasant smell as soon as they enter the restaurant. Otherwise it will affect the customer’s appetite and cause unnecessary economic losses. The dining table and chairs used in the restaurant are sturdy and durable furniture. Because it may cause scratches due to friction with the furniture surface. This will reduce the life of the furniture. In the process of the catering industry, different stains such as grease, dust, soil and sand often appear on the ground. It is easy to leave a watermark when dealing with these stains. After a long time, it is easy to erode wooden furniture. We need to avoid simple decoration with fine furniture, or exquisite decoration with low-end furniture. The choice of furniture should depend on the location of the restaurant and the consumer community. Make up the shortcomings of architecture and decoration with reasonable furniture design and product style, and improve the grade and characteristics of the restaurant. Note that the drop between the height of the table and the height of the chair is generally normal in the range of 28-32 cm. If the drop is outside this range, it will affect the comfort of the meal. Make sure the chair structure is safe and the bearings for the chair must reach 150KG or more. 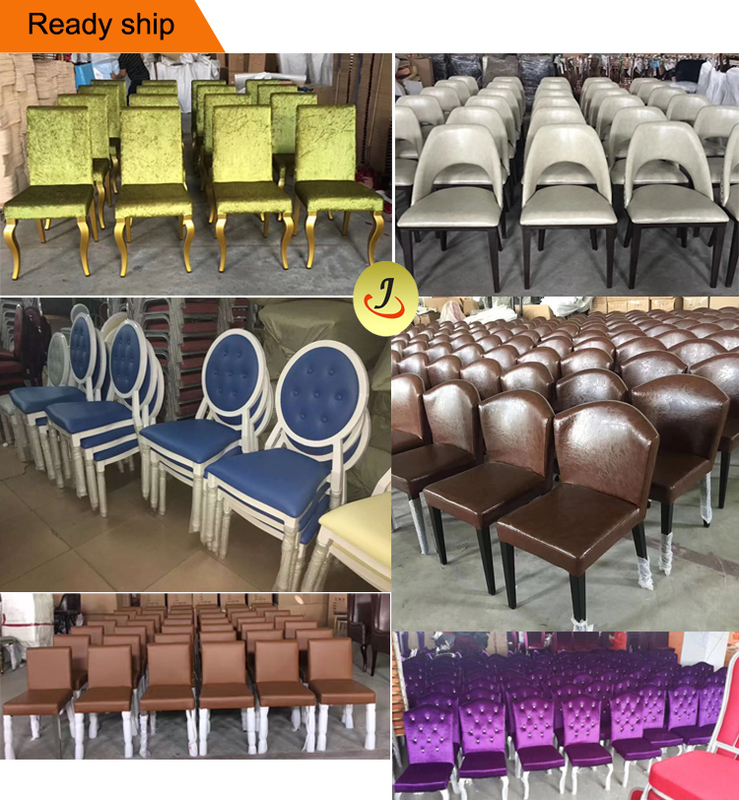 When we buy hotel restaurant furniture, we should first choose a brand furniture manufacturer, we not only do not have to worry about the quality of the furniture, we can also enjoy customized services. 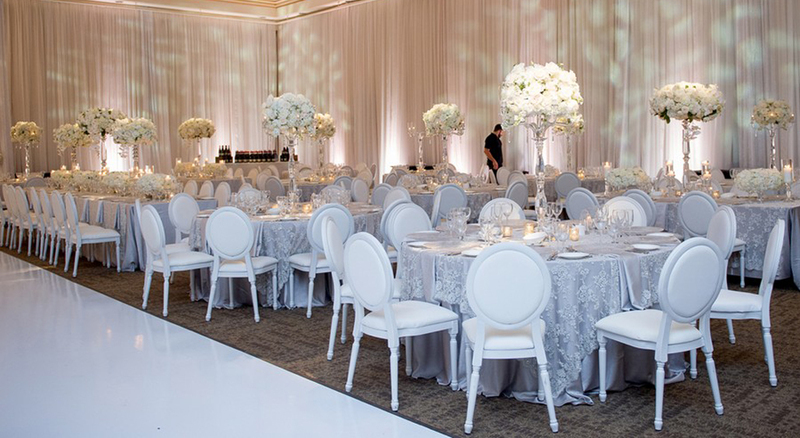 Foshan Jiangchang Furniture has many years of experience in the production and export of wedding/banquet furniture. This is a good choice for you.